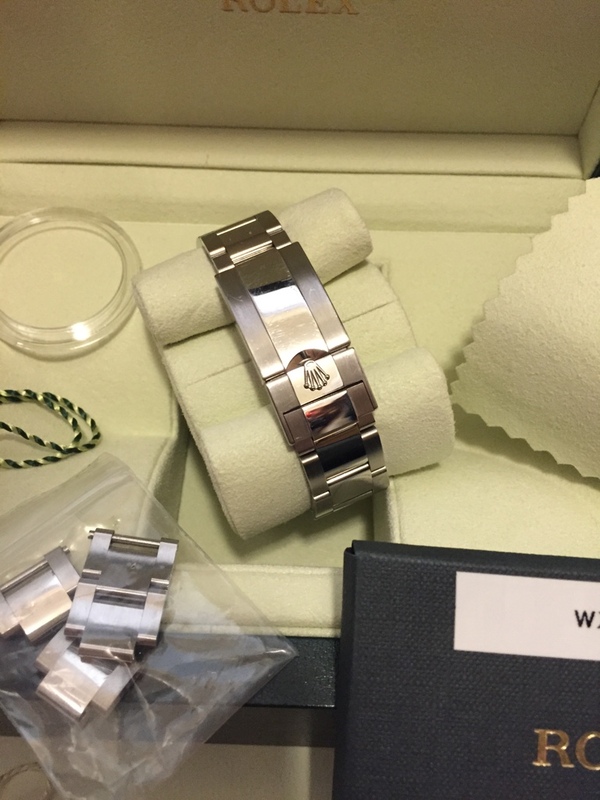 I have for sale a great condition ss white dial Daytona. Random serial. 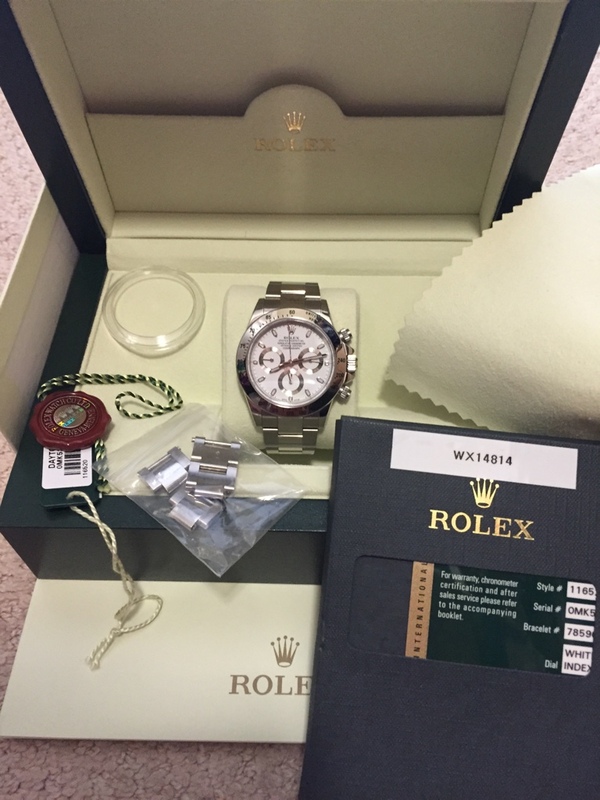 Comes complete with box, tags, manuals and card. Card is named and dated 3/2014. Unpolished! It’s hasn’t been worn much so hence the selling..there are a few tiny scuffs from desk diving but nothing a light polish couldn’t fix. I just like to keep it unpolished and let the new owner decide. I am located in Modesto, ca. But often in Bay Area San Francisco area. Can meet for FTF Transaction. Bank wire only. I have sold a few watches on TRF as per references.